Many small businesses run on a shoestring budget. When your resources are limited, it’s hard to figure out where to spend money. Investing in the wrong area can jeopardize growth, but how are you supposed to make confident financial decisions? Say you’ve invested a lot of money into designing and building out a great company website. All of your services are clearly presented and there are ways for customers to reach out to you, but for some reason you aren’t being contacted. In these cases, it’s possible that the problem isn’t your services, it’s your website. There are affordable website trackers with analytic options that can show you who is checking your website and which posts are getting the most clicks. For small businesses, this service is practically indispensable. It’s like hiring a doctor to make sure that you have a healthy online presence. You can make adjustments to your strategy based on traffic, and carefully monitor which marketing tactics are working. Even if it’s an inconvenient truth, most offices use a lot of paper. Sometime in the near future all paperwork will hopefully be automated, but until then the use of paper is the day-to-day reality in most workplaces. It’s easy to find expensive printers, but affordable options are rare. 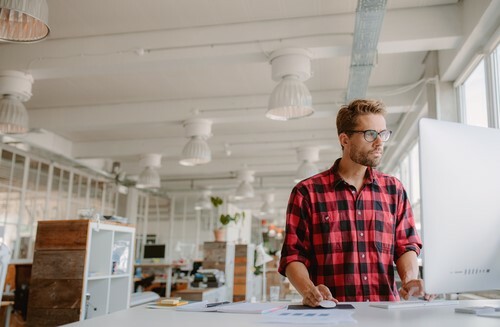 It you’re looking for the best laser printer for small business needs, HP offers a line of budget-friendly models that are ideal. They print quickly, are wireless, and doesn’t require businesses to break the bank while improving efficiency. In order for your sales and marketing teams to function properly, they need to have as much information as they can. Affordable sales forecasting programs can help your marketing team get creative while planning future campaigns, and will give you a sense of the resources you should allocate to different projects. While it’s impossible to be 100% accurate, investing in predictive technology can pay large dividends in the long run. When your company is small, it’s important to know which clients you should be investing your resources in. If you only expend a limited amount, directing too many team members towards a potentially unfruitful client can be catastrophic, especially if you’ve overlooked a potentially important lead in the process. Companies like Unomy offer B2B tools and solutions which help business research and track down fruitful leads. While this is perhaps the most expensive tech tool on this list, which hovers around $500 and can exceed that number with additional options, it’s a vital resource that should be considered if your business is struggling to identify which leads to pursue. Especially if you don’t have many clients, keeping the ones you do have satisfied while you pursue others is vital for the continuation of your small business. 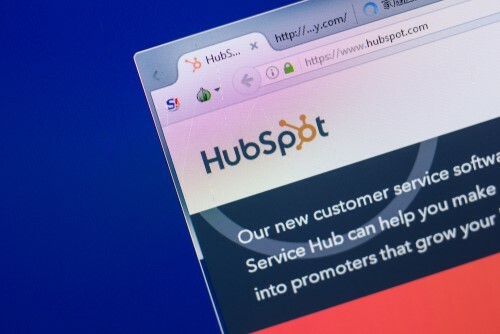 Hubspot offers free CRM software that allows you to keep track of your client information, assign client relationship tasks to different employees, and schedule meetings. Many companies consider CRM tools indispensable to their marketing strategy, because it helps them keep tabs on what they are doing correctly according to their current clients. If your team is ambitious but inexperienced, there are ways to fill in knowledge gaps without breaking the budget. Online, you can find free business training courses which cover all aspects of business operation. Without sending team members to expensive training seminars, you can make the smart financial choice by using the free resources available on the internet. It’s unlikely that first-time customers who visit your company website will convert. However, if you utilize affordable retargeting programs like Adroll, these services will display messages while they visit other websites that redirect them back to your business. It’s a fantastic way to keep your company on the radar for potential clients and ensures that they won’t forget you after a single site visit. With these affordable tools, you will be able to boost your company visibility without having to sacrifice too much coin. Affordable tools are everywhere, and the companies that make it to the top start with options like these. This entry was posted in General and tagged Guest Post on November 27, 2018 by Ben.